The unthinkable happens while transit security officer, Casey Holland, is dealing with an unruly pair of teenage twin girls on the M7 bus. Street racers hit a jogger crossing an intersection on a busy Vancouver street. Casey tries to save the woman life, but fails. A second hit and run causes public outrage when witnesses insist that the victims were deliberately run down. Young journalist, Danielle Carpenter, is determined to identify the racers and asks for Casey's help. But helping Danielle isn't easy. She's not only reckless but on a personal vendetta. 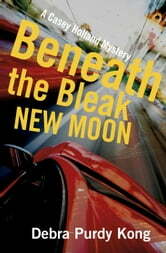 When Danielle goes missing and a suspected racer is murdered, Casey is compelled to step up the search for answers. 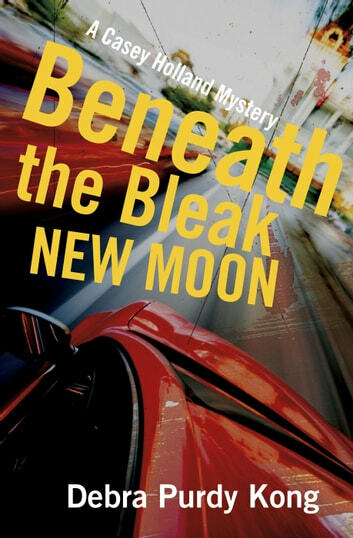 The third installment in the Casey Holland Mysteries, Beneath the Bleak New Moon, is a wild ride that will hold you in suspense until the end.